Last year’s national motor-related fatalities rose 4% since 2011. 1,762 deaths in 2016, the equivalent of a car full of people being killed every day. It is the biggest killer of teenagers in the UK and in the coming years is predicted to rise as one of the largest causes of death worldwide. This is no surprise, with an increase in cars on the roads and the number of young drivers earning their licence. Still, for several decades we have relied on the same training model for the drivers that cruise our roads. Now… pockets of government councils and businesses around the country have started to adopt a new tactic. In fact, there’s new waves rippling throughout the training industry, with a bit of science that has come a long way from the stuff of fiction. 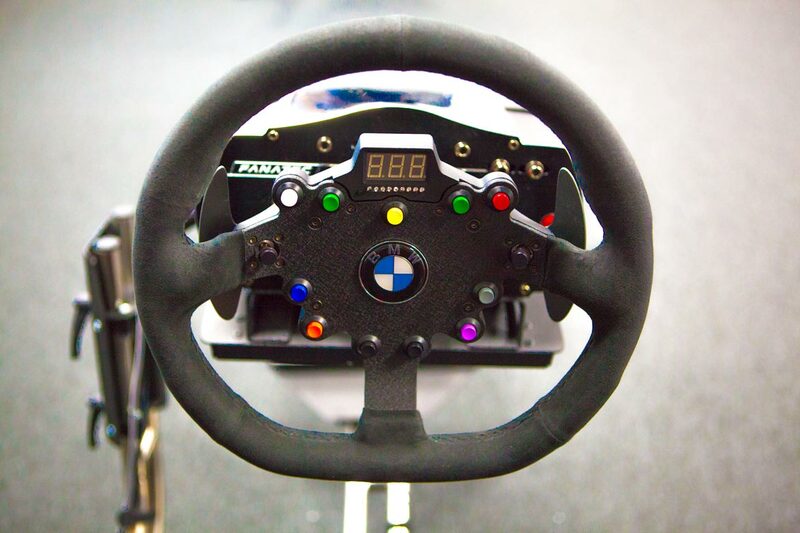 Driving simulators adapting virtual reality. Steering towards a safer future? Employing commercial virtual reality headsets, driving simulators are being sourced to help prevent future fatalities and build general awareness on the dangers it presents. Piloting a virtual car, drivers are trained to the hazards that they may encounter before ever driving on a real road. The simulators can come in variations. Commercial models operate typically on a desktop, with software running on multiple screens that gives a vast view of driving a car. Advanced models can go as far as to match motion, incorporate virtual reality, or even recreate the entire drivers section of a car, including real vehicle parts. Today, driving simulators and virtual reality are changing the way training is experienced. I spoke with Dan Hatch, the director of Blue Flame Digital - a company that develops serious games for organisation’s training and marketing. They have also been targeting the driving simulation market. With Atomic A3 motion simulation chairs and the latest available virtual reality hardware, Blue Flame Digital have created a gaming platform that safely trains the drivers of tomorrow. A user practicing on virtual reality is subjected to the routine of everyday driving, with ease that real world counterparts simply can’t match with the results it provides. The software is programmed with hundreds of scenarios designed to save lives. The users can have their progress tracked. Mistakes are easily identifiable. You can simulate different times of day and various weather conditions. Situation awareness, decision making; hazard perception. Longer practice periods without the real-world anxiety that can distract from learning the actual methods of steering, parking and avoiding dangers. “Repeat this scenario over and over until the driver instinctively knows how they should best react,” Dan Hatch summarised. If driving simulators are integrated into the public training process, users are more likely to be more practiced in every driving scenario. Their reflexes will be sharpened to quickly react in dangerous scenario’s. If young people are given greater exposure to practice on the technology, there will be a fall in the number of fatalities amongst them because of the experience they have garnered. No simulator can replicate the true experience of driving a car. But they can be used to mentally train users in hopes that it will come in use with dangerous situations. Novatech continues to be fascinated by the technology-landscape that VR is forging.